Ok, we're here once again! 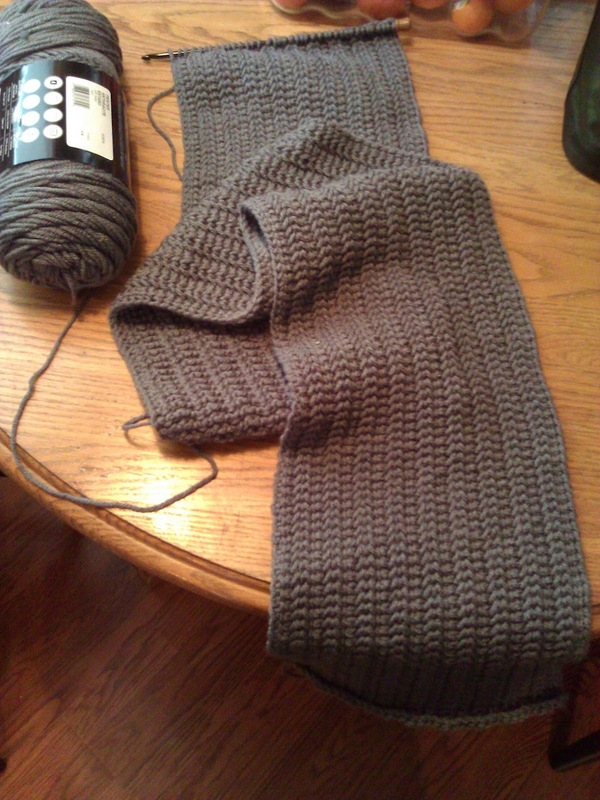 So the scarf sweater is closer and closer to being done. I think I've only got maybe a foot or two left in length. It's getting crazy, I held it up last night and it's as tall as me now. That's 5 feet of scarf. Couldn't even fit it all on the table for the photo!! Started my next project. 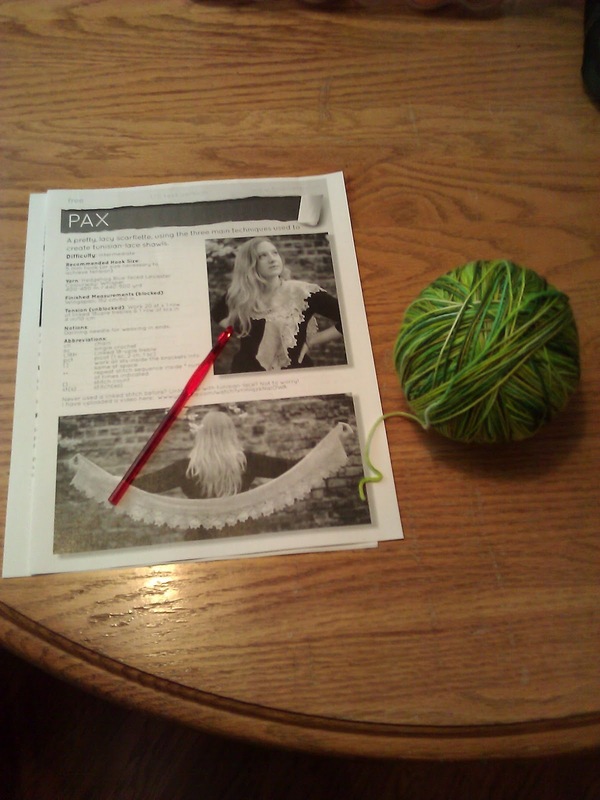 I'm taking another stab at the Pax pattern. I utterly failed last time, so we'll see. The pattern is incredibly difficult to read, and also Tunisian lace and I....do not get along. Anyway, I got as far as printing the pattern and winding the hank into a ball. So far, so good!! I really hope I get it this time. It really is like learning an entirely new craft. It's so very different than other Tunisian patterns, which is also way different than normal crochet. That's it for now. I hope everyone is well. So much love, and happy crafting! !